Maryal Barnett of Holt, Michigan, long prominent in American Dressage, and active in the group of founders of the United States Dressage Federation, is concerned “Lest We Forget.” She wishes to ensure that future Dressage generations remember the pioneer group of eighty-one founders who met in Lincoln, Nebraska in 1973, and what they did there. 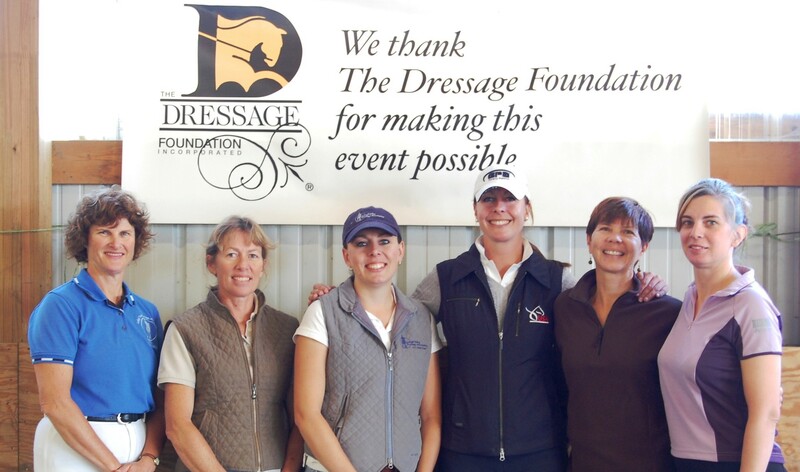 Their vision formed and organized USDF. Maryal Barnett wishes to remember, in a permanent way, Lowell Boomer, who devoted so many years of hard work in transforming the founding group’s dream into action. Maryal Barnett and her family have donated a horse head carved from a tree trunk to commemorate Lowell Boomer and the original eighty-one founding organizers. The tree trunk was chosen to symbolize the growth and many branches of a tree, as they spread and reach out into the future, as USDF has indeed branched out and grown from its roots. Maryal Barnett requested that Lowell Boomer’s biography be written by his son, John, which he has gladly done, and which appears on The Dressage Foundation website and in a brochure featured at USDF headquarters with the carving. 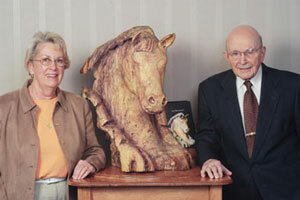 The Barnett family contributed the carving along with the funds for the preparation and printing of the brochure, and requests that the carving and brochures be housed permanently, side by side, in the Hall of Fame of the United States Dressage Federation in Lexington, Kentucky. 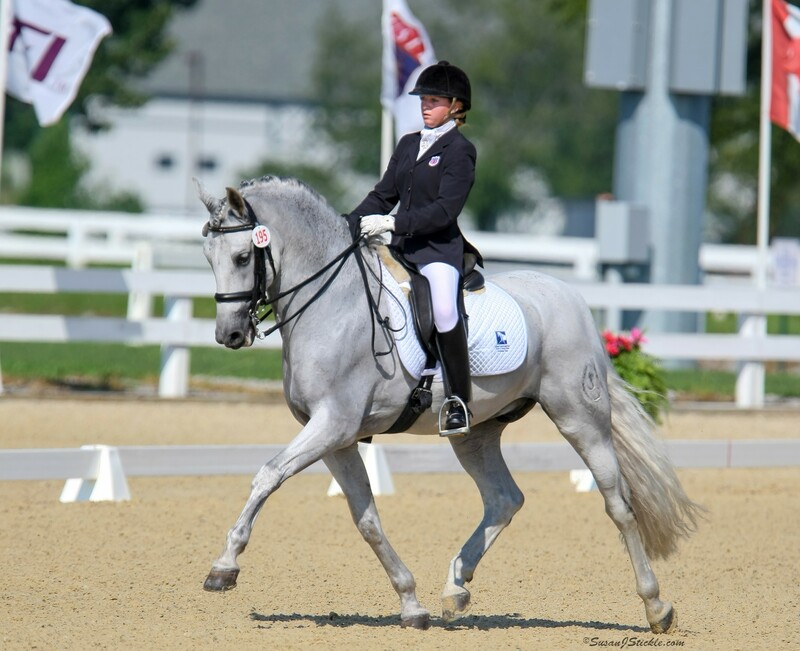 Maryal Barnett has made this gift of special remembrance through The Dressage Foundation to the United States Dressage Federation. Maryal Barnett and Lowell Boomer stand beside the carved horse head Maryal has donated to the United States Dressage Federation, through The Dressage Foundation. 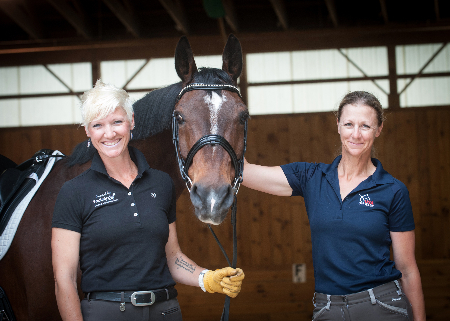 The photo was taken on May 17, 2007, at The Dressage Foundation’s headquarters, prior to the “trailering” of the horse to Lexington, Kentucky, where it will be “stabled” permanently in the USDF Hall of Fame. Lowell Boomer, 95 years of age, humbly expressed his pride for this high honor.